Wondering how pastors of multisite churches lead effectively across multiple locations? That is a question The Unstuck Group has been digging into lately. We released our study of over 100 multisite churches and held a webinar to discuss the findings. 1) SIZE: Waiting until they have the strength to go multisite. Based on our research, churches are less likely to go multisite until they have at least 1,000 people in weekly attendance. This points to a few areas of strength required of an effective multisite church. Growing churches of over 1,000 have refined and proven their ministry models. They also have the ability to establish staff and volunteer depth from which to send out campus launch teams. When it comes to multisite, having a critical mass really does make a difference. 2) STRUCTURE: Leading ministry through a matrix. Two out of three multisite churches are utilizing a matrix structure to connect their campus staff to two uniquely gifted leaders. Their campus pastor provides local vision, leadership coaching, accountability, and care. 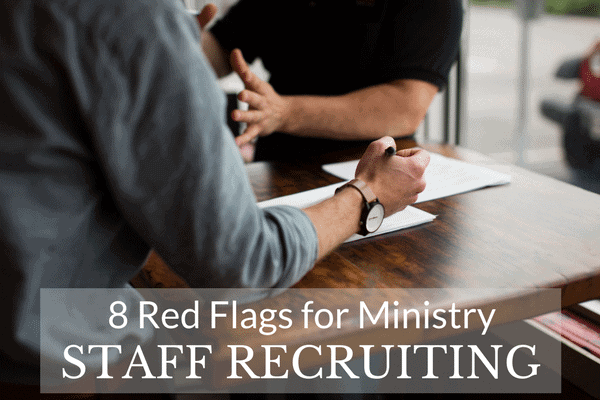 Their central leader equips them with the strategies and resources needed to lead their specific ministries. You can learn more about the matrix structure and find a visual example in our new white paper. 3) STRATEGY: Making strategic decisions through a Central Services team. The relationship between campus pastors and central leaders can often be unclear and even strained. Tension generally stems from confusion about how decisions get made. In 60% of multisite churches, strategic decisions are made by the central services team. This style of decision-making creates alignment across multiple locations, maximizing resources and a proven ministry model. By the time a church reaches four total campuses, we believe this Central Services team becomes essential. You’ll love our full research white paper on One Team. Multiple Locations: How Staff Teams at Effective Multisite Churches Overcome Distance and Lead Together. Get your free download. Check out our on-demand replay of the Making Multisite Work webinar. Our team has over 40+ years of experience leading in successful multisite churches. Learn how we’re helping churches around the country reach more people through more locations.